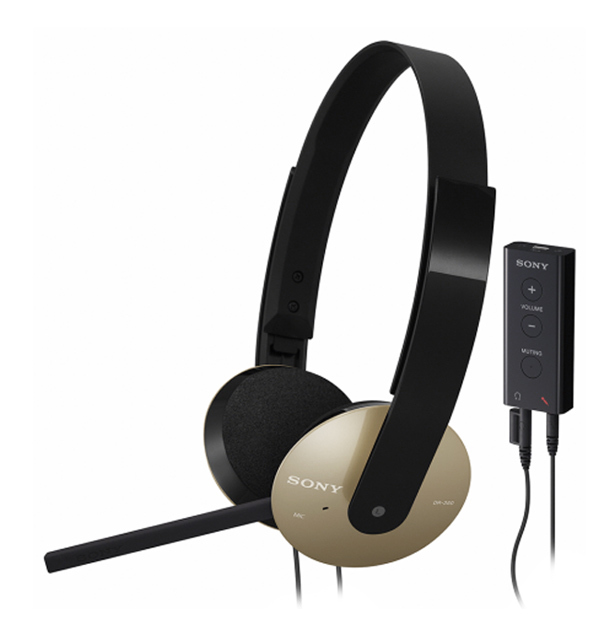 If your gaming cans need a little upgrade then the new range of Sony computer headsets might be worth a look. The Sony DR-350USB (pictured below) are available in black, gold and red and are fitted with a 30m driver unit and built in microphone. They have a removable ‘voice tube’ and have the standard features you would expect on a pair of gaming cans, including mute and volume controls. The three new headsets in the range the DR-350USB, DR-320DPV and DR-310DPV will be launched in Asia this month. Unfortunately there are no details at the moment on worldwide launch or prices at the moment.